Nearly every client I’ve come across has Search configured, although not every client has it running efficiently, many have errors or issues that aren’t always resolvable and result in rebuilding the Search service. 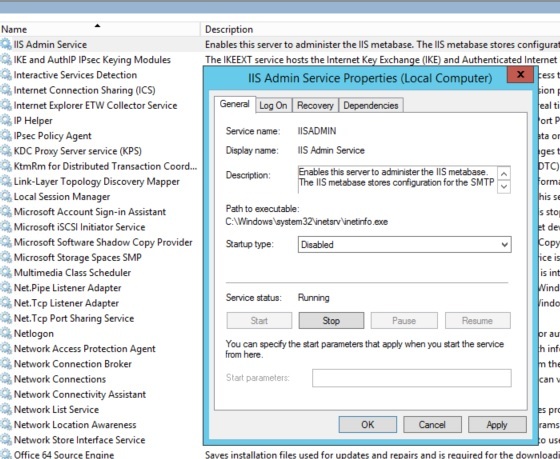 The information below will show how to recreate the Search service with minimal downtime. In this scenario we have a Search service application which does not do full crawls and just hangs unless the services on the server are restarted to which it works correctly, doing this daily is not efficient, neither should the Search Service work in this manner. To begin with, if you have an existing Search service application, remove all the crawl schedules for all content sources. Once you’ve downloaded both scripts, place them on the server in a scripts folder. 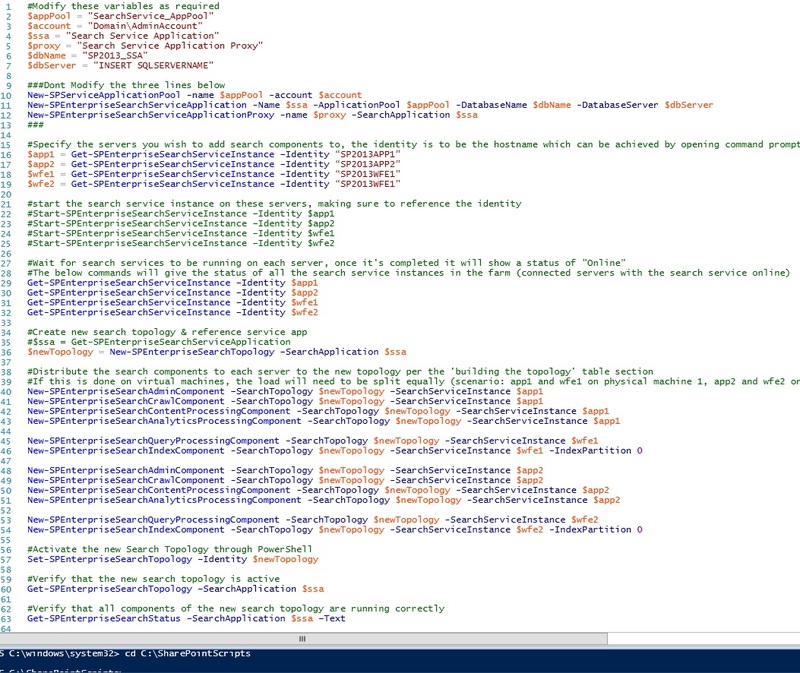 While on the server, open Windows PowerShell ISE in administrator mode. You’ll need to change the directory to your scripts folder, this can be done by running “cd c:\<SharePointScriptsFolderLocation>. #Make sure the service app name is the old search service name as shown in SharePoint service applications section. When both have been exported, check the scripts folder, you’ll notice two CSV files which are export-crawled-properties.csv and export-managed-properties.csv. If however you do not see these but the script ran successfully, it could potentially be because you never changed the directory and therefore, you’ll need to check the system32 folder for the CSV files. Within the SharePointScripts folder, you’ll also have a log file of what happened. 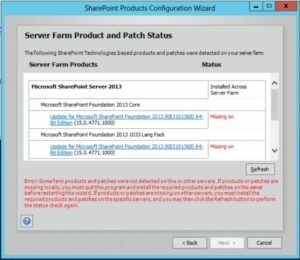 Now the managed and crawled properties have been exported, copy the PowerShell script below and paste this into PowerShell ISE (admin mode), this code will create a new Application Pool, a new Search service application, a new Search service application proxy and will also distribute the components equally to the required servers in the farm. To confirm which component you want on each virtual machine, you can check Microsoft documentation for best practices. It is worth checking the variables so they aren’t currently being used. Ensure you change the identity to the name of your servers. The commented out sections define exactly what is happening as you run the script. You can run all the script together or in stages. #Distribute the search components to each server in the topology. #If this is done on virtual machines, the load will need to be split equally (scenario: app1 and wfe1 on physical server 1, app2 and wfe2 on physical server 2). Using the following scenario, each server needs a vm with AdminComponent, CrawlComponent, ContentProcessingComponent, AnalyticsProcessingComponent, QueryProcessingComponent & IndexComponent. This means the load each server deals with is completely equal to achieve high fault tolerance. #Making sure that serviceapp is the name of your new search service. We run the crawled properties first as the managed properties are mapped to crawled properties, so if you attempted to run the managed properties script first, it wouldn’t find any of the custom crawled properties as there wouldn’t be any extras. When the managed properties have run correctly, it’ll show as below. Do a comparison of the managed properties and crawled properties between the old search service application and the new one to confirm it’s the same amount. 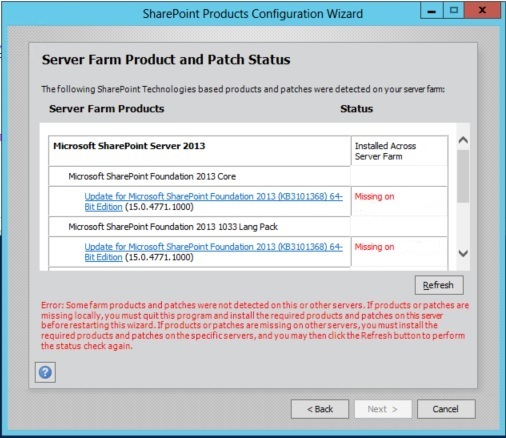 Go into SharePoint Central administration to the ‘Manage Service Applications’ page. Click the space next to your new Search service so it’s selected and click permissions in the top ribbon, copy the accounts that are in your old search service to the new one here. Alternatively, you’ll need the account that’s administrating the search service, as well as the account that’s running the User Profile Service for people search, the accounts should have full control. Now open the new Search Service Application & the old Search Service Application in separate tabs, go to the Crawl rules, copy any of the Crawl rules from the old search service to the new. Ensure the content sources have also been copied across. For a full crawl, if you have multiple content sources, it’s best to try first on the smallest content source, in most occasions this is the People Search content source, as this is against the number of users in the farm, if people aren’t using their my sites (which is the case normally) this shouldn’t take long at all as there will be less data to crawl. Once you’ve crawled all the content in your new Search Service, ensure the schedules for the crawls have been setup correctly. When you are completely happy with the new Search service where you can see there are items it has crawled, it’s time to make this live. Currently your old search service application is still live with all previously crawled content in the database. To change this to the new Search service, navigate to Central Administration –> Manage Web Applications –> highlight the SharePoint Web App and select ‘Service Connections’ in the ribbon. Select the proxy that relates to the newly created Search Service application. This will swap over your old search service for the new search service. It is worth noting, doing it this way will place heavy stress on your SQL Server, both CPU & Storage. Therefore ensure your SQL Server can cope this the strain. (as well as the app servers). The Search service application has four databases which each have separate roles in supporting SharePoint. When the search service application is created, the four databases are created which are the search administration, analytics reporting, crawl store & link database. For a new Search Service application, ideally a new application pool should be created too. The code below will create a new application pool, search service & search proxy. As this application pool will be used against Search, a search account is used. When the Search service application has been built, it’s ideal to check the SQL Server to confirm these are installed at the location you require and that they’re all there with the naming convention you require. If the naming convention is wrong, start over again. Deleting an old or inactive topology can be achieved in PowerShell too. There should be more than one however, only one should be active, an inactive topology can be removed if required. By default when a search service application is created, one content source is also created which is usually called ‘Local SharePoint Sites’ within this, it should contain two urls, the intranet site and the mysites to which it’s set to crawl. The current setup has the top level Central Admin address which crawls everything in one however, it might be wise to split this into two content sources to separate the crawls and therefore less strain at a certain time should a full crawl be required. 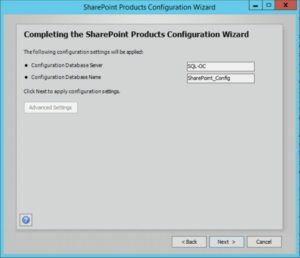 Since the release of SharePoint 2013, Microsoft released a new type of crawl that wasn’t available in previous SharePoint versions, which is the continuous crawl. In every SharePoint Online environment, this is set to continuous and cannot be changed as the back end is managed by Microsoft themselves. So in SharePoint 2013 we have three different crawls, the continuous crawl, incremental crawl & full crawl, below is the difference between them all. Crawls all content under content source. Crawls content which has been added or modified after the last successful crawl, index only updates when the crawl is completed. For an incremental crawl, once started you’re not able to launch a second crawl in parallel on the same content source, changes that occur during this crawl will need to wait until the next crawl has run in order to populate the index. The schedule for the incremental crawl will determine how long someone will have to wait for their updates. Crawls content in 15 minute intervals, if the crawl hasn’t completed in this time then a second will kick off and so on. The index is basically updated continuously and won’t stop unless manually disabled. For a continuous crawl, this runs at regular intervals. The major difference between the two crawls is a continuous crawl allows further crawls to run in parallel, so you wouldn’t have to wait an hour if you made a modification to a document during a crawl, it would be caught every 15minutes when a crawl is ran. When a continuous crawl is in progress, this cannot be paused or stopped, only disabled, to disable this we’ll need to edit the content source and choose ‘enable incremental crawls’. While using SharePoint Designer I haven’t found it possible to set the placeholder values, therefore a workaround for this is to use JQuery. So there are a few ways of creating custom buttons in SharePoint however, I like my buttons to be noticeable so I tend not to use the standard button however, I’ve shown below how to create buttons using basicbutton, Bootstrap & CSS. 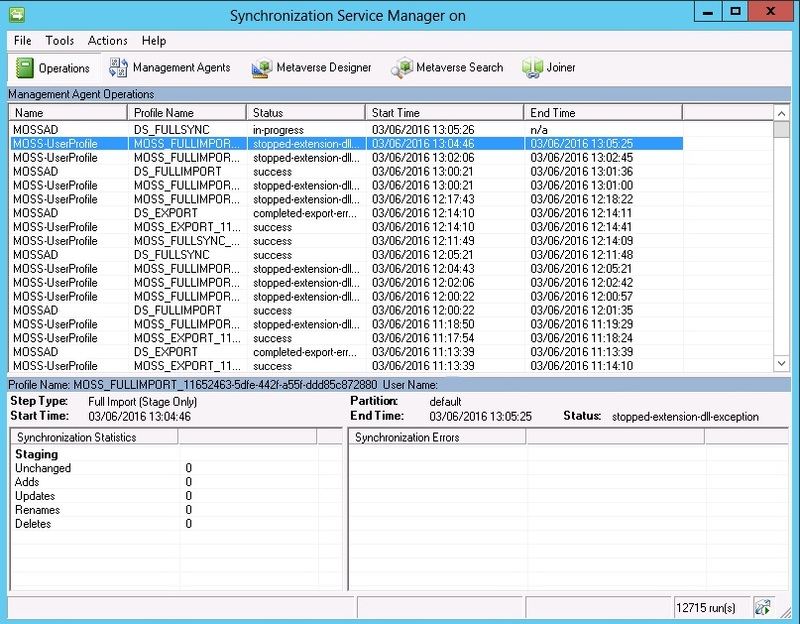 Over the past month I’ve come across an issue where the ForeFront Identity Manager provides an issue which relates to the User Profile Sync Service. So if you’ve been hunting around on Google you’ll probably notice that there are multiple ways of fixing this. There could be a few issues that this relates to, in my case this was due to peoples profile pictures that have an incorrect URL. Consider the following scenario…If you have a generic picture for all new users until they populate their own picture and this picture gets deleted, the URL for the profile picture that is against each user will be orphaned, so finding out which users have an orphaned picture will require either PowerShell or querying the User Profile Database to find the picture URLs. I chose to use a SQL query to find this information. Using the query above, this pulled back all users from the user profile with the details in the select query. When you get this information, look into the URLs to find any incorrect. I noticed that some of the URLs were duplicating so it was rather long and obvious. As there were roughly 12 of these we manually changed this however, I’m sure it’s possible to change this through PowerShell if there is a vast amount. 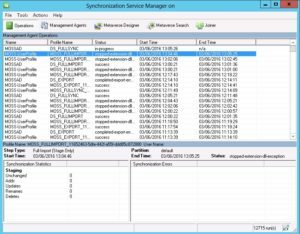 If you open the Synchronisation Service you’ll be able to monitor the issues involved as well as hopefully being successful. So in my scenario, I ran a script that takes all SharePoint services offline for when I wanted to start patching, little did I realise (or read the script), it also takes IIS offline to disabled mode. Once I completed the patching, I ran the SharePoint Products Configuration Wizard, as you do. To which I then came across the screenshot below. 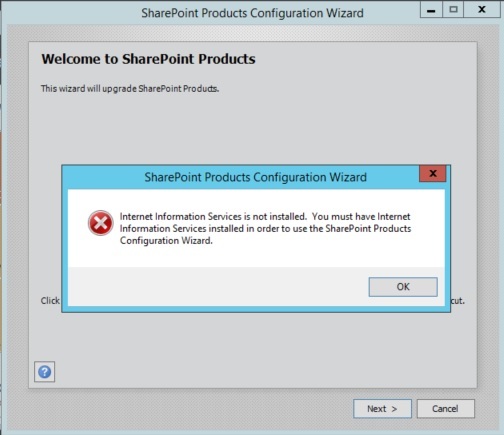 So first off, I know IIS is on the server and SharePoint fully configured so I knew somehow it was disabled. 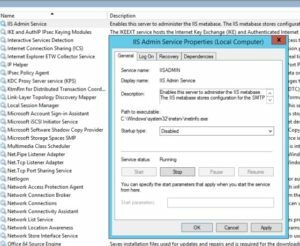 Fortunately I knew where to check this, if you open the start window and type ‘Services’, then look for IIS Admin Service. In my case, this was disabled due to a script I ran, to change this, right click it and go to properties, then set from disabled to Automatic. 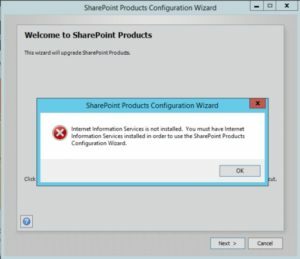 Now try running the SharePoint Products Configuration Wizard and see if you experience the same issue. Hopefully you don’t and you progress to the next screen which will look similar to the below! This will be an ongoing post until all are completed. 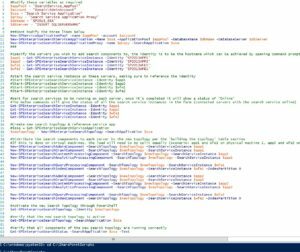 The below PowerShell will show you how to add a service application as well as delete. For deleting a service application, run the ‘Get-‘ commands first which can all be found below before running the remove in order to find the ID or the name.